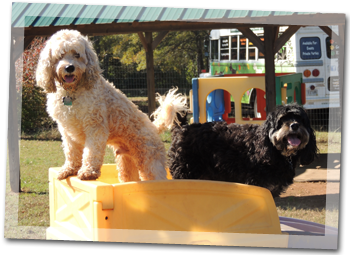 Our philosophy at Sheba’s is that all doggy campers should enjoy hours of off leash fun while boarding. Dogs are social beings that are accustomed to interaction of all kinds and do best in environments where they can hear their names, are frequently touched and praised, and can exert both mental and physical energy through play and games. 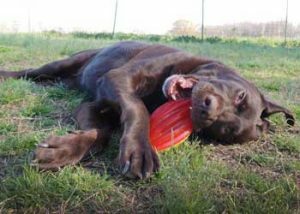 We believe our boarding program has been successful through the years because by design it helps to reduce stress, separation anxiety and pent up frustration by offering six to seven hours of off leash play per day. End result? A happy and tired camper! Does your camper need to have medication while on vacation? Serving of meals is also no additional charge. You are welcome and highly encouraged to send your camper’s food (to reduce the chance of allergic reactions or tummy upsets) or you are welcome to use ours. We use a lamb/rice formula. Canned food also welcome. Raw feeders welcome. Pre-approval by management required. We welcome extended stays. Need to go away for a week? A month? Two months? Our extended stay discount gives you: Every 7th Night FREE! No limit. 7 nights – pay for 6. 14 nights – pay for 12. Our complimentary shuttle service is also available for boarding. Reservation requested. Available on certain days, areas, and times. Must be in our service area.